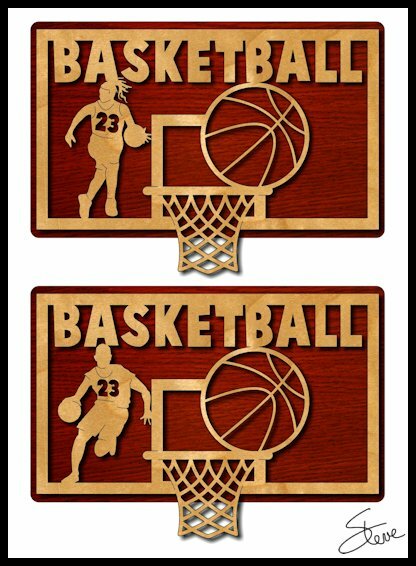 Basketball Backboard Scroll Saw Pattern. This basketball backboard is 10.25 inches wide. 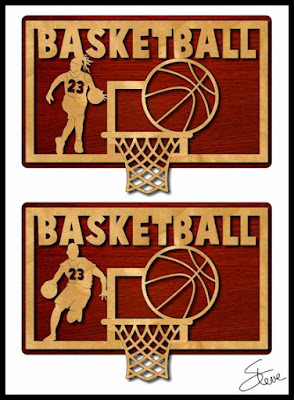 There is one for girl and boy players. The update for the $3 PDF catalog is available now. Use the bookmark you set for the download page to get the latest version(Version 6). You can see the your version in the left corner of the app or on the cover page of the PDF. If you are using the Windows desktop downloader just click the link at the bottom of the app. If you are not using the Windows version go to the download page and just download the latest PDF. If you want to purchase the $3 PDF catalog just visit this link. Please make sure you understand what you are buying. The $3 PDF catalog is just a supplement to the free online catalog. It simply gives you an easier way to browse through the catalog and then download the pattern. There is a video showing how it works on the order page. Make sure you watch that video or you will not understand how it works. 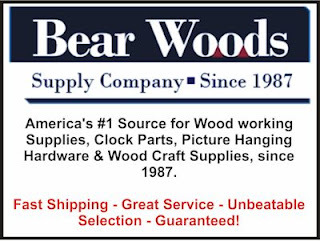 Don't forget to enter the Bear Woods $75 gift certificate giveaway. You can enter everyday to increase your chance to win. Time is running short to order your Personalized Christmas Ornament Patterns. I will take orders until Wednesday the 21st for shipment before Christmas. Take a look at the new Jet 22" scroll saw at www.seyco.com. The Scroll Saw Specialist since 1986. If you want to take your scrolling to a new level of control, give the Jet a close look for your next saw. The Jet features the unique dual action upper clamp that saves time and eliminates those annoying thumb screws. All the table saw you will need for your scroll saw workshop.